Native America comes to Ipswich this week as lawyer Anthony Wooding unveils his latest art project and prepares to give a talk on the subject. 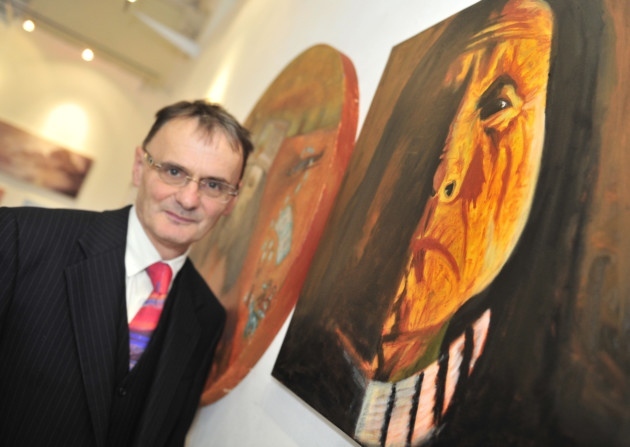 Mr Wooding, managing partner at Kerseys Solicitors, watched on yesterday as the five artworks, based around Native American thinker Lame Deer, were hung in Gallery One, in the Town Hall cafe, Ipswich. He said: “I have been working on this project since last Christmas. I wanted to follow a theme, and last time I did something like this I focused on the Roman philosopher Marcus Aurelius.